As a business owner, you’ve done enough research and worked hard to make sure you recruited the best tutors. You are confident your customers will be receiving the best service possible. Now, another important aspect of your business is to manage your tutors efficiently and providing them with the necessary tools for success. 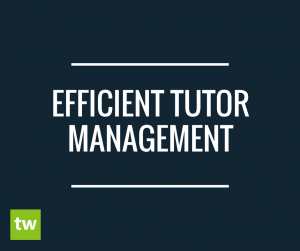 Efficient tutor management allows you to grow your business faster. You are busy growing your business, and your tutors are busy teaching your customers. One of the best ways to manage tutor’s schedule and administration tasks is through a business management software. Scheduling is probably the most important and complicated aspect of managing your tutors. The calendar features in Teachworks include multiple calendar views and filters as well as designated tutor calendar to make scheduling your tutors an easy task. The calendar also displays tutor availability and automatically checks scheduling conflicts for you. Through Teachworks, you can set up your tutors profiles to include their personal information, availability, services and more information to be stored and organized in one place. You can also create user accounts and modify permissions so your tutors can have their own online portal to schedule lessons, update lesson status, manage their availability and more. This feature will allow you to delegate some of the administration responsibilities and increase efficiency. With Teachworks, you can pull tutor hours directly from the calendar. There is no need to have your teachers fill out and submit manual timesheets all information needed is recorded and stored within the calendar itself, so you always have access to real-time data. You can also keep track of tutor payments and payslips through Teachworks. 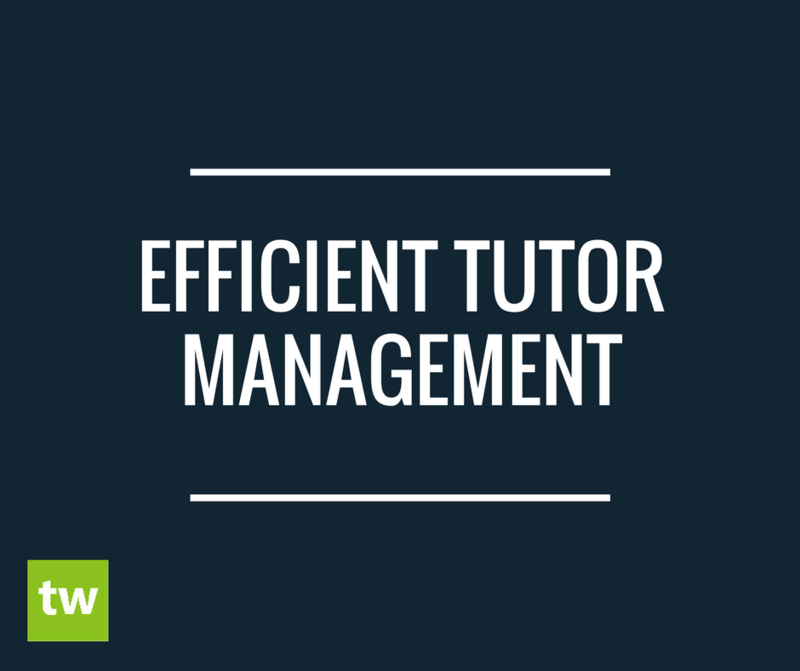 These are two of the main factors that would affect efficient tutor management. Another feature included in Teachworks, is the ability to set up automatic email or SMS reminders for both your customers and your tutors. This feature is proven to improve communication between your company, your tutors, and customers, as well as improve attendance rates which will benefit both your tutors and your business. These Teachworks features along with many other features available to make managing your tutors easier have been perfected over time with feedback from hundreds of educators to improve efficiency. To start managing your business more efficiently start your free trial today.